Cut the drumsticks lengthwise and remove the fleshy part with a spoon. Cut the drumstick into small pieces and mix it with green chilly, garlic, cumin powder, onions, turmeric, curry leaves and salt and keep aside for a while. Heat oil in a pan.splutter mustard seeds followed by curry leaves and put the drumstick mix into this pan. Cook on low or medium flame for a while by covering the lid till cooked . Check occasionally to make sure it doesn`t get overcooked. Once cooked, remove the lid and mix well. 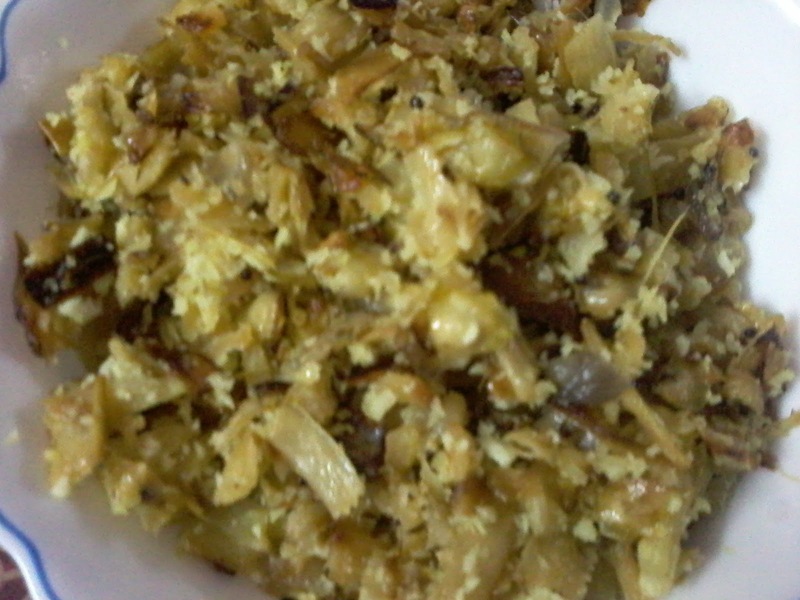 Add the grated coconut on top and mix again. After a minute, remove from flame.